Analysis: After a disappointing 2017, the slot receiver was able to rebound somewhat, although his numbers still didn't make him a particularly appealing fantasy asset. Beasley was in the final year of his contract, and while Jerry Jones is among the most loyal owners in the NFL when it comes to re-signing players, the Cowboys will have bigger priorities in free agency and a new offensive coordinator, so there's no guarantee the 29-year-old will be back in Dallas next season. Analysis: The Cowboys won't make it official until they release their list of inactives 90 minutes before Saturday's 8:15 PM ET kickoff, but Beasley is poised to play through a high-ankle sprain for a second straight contest. Analysis: Beasley predictably didn't practice this week due to a high-ankle sprain suffered in a wild-card win against the Seahawks. That said, if he shows well enough in the aforementioned workout, he's expected to miss the inactive list for the Cowboys' second outing of this postseason. In the end, it's difficult to forecast his workload, which was a season-low 41 percent of the team's offensive snaps last weekend. Beasley (ankle) is listed as questionable for Saturday's game versus the Rams, David Helman of the Cowboys' official site reports. Analysis: Beasley was diagnosed with a high-ankle sprain in the aftermath of the Cowboys' wild-card win against the Seahawks, so it's easy to see why he didn't practice this week. His upcoming availability is more difficult to predict, with Helman suggesting Beasley will be a game-time decision. Earlier this week, owner and general manager Jerry Jones expressed confidence that Beasley will play this weekend, but such a call won't be made until 90 minutes before Saturday's 8:15 PM ET kickoff. Beasley (ankle) was held out of practice Wednesday. Beasley (ankle) won't participate in Tuesday's practice, Calvin Watkins of The Athletic reports. Cowboys owner Jerry Jones said Tuesday on his weekly radio appearance on 105.3 The Fan Dallas that he's "very positive" about Beasley's (ankle) chances of playing Saturday's divisional-round matchup with the Rams, Jon Machota of The Dallas Morning News reports. Beasley suffered a sprained right ankle during Saturday's wild-card game against the Seahawks, Brandon George of the Dallas Morning News reports. "It's sore, man," Beasley said. "But I think I'll be alright. We'll just see how it progresses through the week. Hopefully, it feels a lot better than it does right now. I think I just need some time for it to calm down and I'll be good." Analysis: Beasley appeared to injure his ankle on the first series of the game after making a 14-yard catch. The slot man tried to play through the injury, but he left the field with an apparent limp on multiple occasions. While Beasley's optimism is encouraging, it's not necessarily a guarantee that he'll be able to suit up for the Dallas' upcoming divisional playoff game against the Rams on Saturday. The Cowboys' first injury report of the week should help clarify matters. Beasley hauled in all five of his targets for 50 yards in the Cowboys' 27-20 win over the Buccaneers on Sunday. He also returned one punt for 13 yards. Analysis: Beasley checked in just behind pacesetter Michael Gallup in receiving yardage and co-led the team in catches. The 29-year-old has seemingly re-established a solid role in the offense over the last pair of contests, following a downturn in involvement over a three-game stretch when he managed just five receptions for 32 yards. Beasley countered with nine receptions on 12 targets over the past two contests, and he'll look to finish the 2018 campaign strong against the Giants in Week 17. Beasley (foot) was a full participant in Thursday's practice, David Helman of the Cowboys' official site reports. Analysis: Beasley opened Week 16 with a limited session Wednesday, but his advance to full participation suggests his status isn't in any peril for Sunday's game against the Buccaneers. While the wideout's health shouldn't impact his fantasy outlook, his lack of production of late -- 21 receptions for 178 yards and no touchdowns over the past seven games -- puts a cap on his fantasy upside. Beasley (foot) was a limited practice participant Wednesday, Calvin Watkins of The Athletic reports. Analysis: Beasley initially sprained his right foot in Week 13 and then aggravated the issue during Sunday's 23-0 loss to the Colts. His ability to practice Wednesday in a limited capacity suggests he'll continue to fight through the injury. Beasley hasn't scored a touchdown or topped 51 yards in a game since the Cowboys traded for Amari Cooper. Beasley sprained his right foot during Sunday's 23-0 loss at Indianapolis, Brandon George of The Dallas Morning News reports. Analysis: Beasley initially suffered the injury in a Week 13 win against the Saints, and in two games in the meantime, he's accounted for six catches (on 11 targets) for 60 yards. Because he's been able to play while hobbled, he likely will continue to do so while the Cowboys seek an NFC East title for the third time in five seasons. However, his listing on injury reports this week will forecast whether that's the case. Beasley caught two of four targets for 18 yards during Sunday's 29-23 win over the Eagles. Beasley (foot) was a full participant in Thursday's practice, Brandon George of The Dallas Morning News reports. Analysis: As coach Jason Garrett intimated Wednesday, the sprained right foot Beasley sustained in the Cowboys' Week 13 win over the Saints was never a major concern, a notion validated by the full workout the wideout put in Thursday. Beasley should remain a regular fixture in three-receiver formations Sunday against the Eagles, but his stable role hasn't meant much for fantasy purposes lately. Over the past five contests, Beasley has hauled in 15 of 22 targets for 118 yards and no touchdowns. Beasley (foot) was a limited practice participant Wednesday, Jon Machota of The Dallas Morning News reports. "I'm feeling good," Beasley told Brandon George of The Dallas Morning News. "If it was game time, I'd be able to go right now." Analysis: Beasley sprained his right foot last Thursday against the Saints when an opposing defender landed on it as he stretched for a first down. Considering his comments, he seems a good bet to take the field this weekend against the Eagles, barring a setback. Coach Jason Garrett relayed that he expects Beasley (foot) to practice Wednesday, David Helman of the Cowboys' official site reports. Analysis: The release of the Cowboys' first injury report of Week 14 will specify if Beasley was a limited or full participant in practice or if his involvement was contained to working out on the side. The fact that he's at least on track to dress for practice offers optimism that the sprained right foot he sustained in the Week 13 win over the Saints isn't viewed as especially serious heading into Sunday's matchup with the Eagles. Beasley sprained his right foot during Thursday's 13-10 win over the Saints, Kate Hairopoulos of The Dallas Morning News reports. Analysis: Coach Jason Garrett is hopeful the injury won't lead to an extended absence, though he wasn't able to make any promises. Beasley has averaged just 4.4 targets in five games since the Cowboys acquired Amari Cooper, seeing far fewer opportunities despite playing approximately the same number of snaps. Beasley caught one of two targets for five yards during Thursday's 31-23 win over the Redskins. Beasley caught five of seven targets for 51 yards during Sunday's 22-19 win over the Falcons. Beasley converted five targets into four catches and 37 yards during Sunday's 27-20 win over the Eagles. Beasley caught three of four passes for 16 yards during Monday's 28-14 loss to Tennessee. Beasley caught seven of eight targets for 56 yards during Sunday's 20-17 loss to the Redskins. Analysis: Beasley led the team in targets, but he didn't generate much outside of an 18-yard gain. He nearly got into the end zone when he hauled in a short pass near the end zone, but he was pushed out of bounds before he could score. Beasley has hauled in 16 throws for 157 yards and two touchdowns over the last two weeks for what has been an improved passing attack. He'll have the bye week to rest up before taking on the Titans at home in Week 9. Beasley caught nine of 11 targets for 101 yards and two touchdowns during Sunday's 40-7 win over the Jaguars. Beasley caught one of three targets for eight yards during Sunday's 19-16 loss to Houston. Analysis: It's been downhill since Week 1's seven-catch, 73-yard outing against Carolina. Beasley is averaging just 2.5 catches and 30 yards per game since. He remains Dallas' top receiver in terms of yardage, but that carries little weight in a Cowboys offense ranked 29th in passing. It's hard to envision a turnaround against a top-five Jacksonville pass defense Sunday. Beasley (ankle) doesn't have an injury designation for Sunday's game against the Texans, Jon Machota of The Dallas Morning News reports. Analysis: Beasley was a full practice participant Friday after logging limited sessions Wednesday and Thursday. He'll be fine to fill his usual role as the slot receiver in a run-first Dallas offense in Week 5. The Cowboys will face a Houston team that's allowing 8.1 yards per pass attempt and 288 passing yards per game through four contests. Beasley (ankle) was a limited practice participant Wednesday, David Helman of the Cowboys' official site reports. Analysis: Beasley played through the same injury last week and caught four of five targets for 53 yards in a 26-24 win over the Lions. With no setback reported coming out of that contest, Beasley should be able to give it a go Sunday against the Texans. Beasley (ankle) caught four of five targets for 53 yards during Sunday's 26-24 win over the Lions. Analysis: Beasley was hampered by an injury heading into the contest, but he tied for the team lead in targets while pacing the wideouts in catches and receiving yards. He was clearly hurting at times and required frequent trips to the sidelines in between plays. With that said, Beasley still came through with a solid performance and should be able to play next Sunday night against the Texans, barring a setback during the week. Beasley (ankle) is listed as active Sunday against the Lions, Todd Archer of ESPN.com reports. Analysis: Playing through an ankle injury for a second consecutive game, Beasley is still searching for his first touchdown of the season, a victim of the Cowboys' malaise on offense. He may finally get in on the act Week 4 against a Detroit defense that has conceded 14.6 yards per catch and three touchdowns to wide receivers through three contests. Beasley (ankle), who is listed as questionable for Sunday's game against the Lions, is expected to play, Ian Rapoport of NFL Network reports. Analysis: Beasley also carried the ankle injury into the Week 3 loss to the Cowboys but ultimately garnered an active status for the contest, finishing with three receptions for 46 yards on five targets. The Dallas slot man only managed to practice on a limited basis this week, but that will apparently be enough for him to suit up Sunday. Beasley (ankle) is listed as questionable for Sunday's game against the Lions, Jon Machota of The Dallas Morning News reports. Analysis: Beasley has been plagued by an ankle injury for a little more than a week, but played through it Week 3 in Seattle and will do the same Sunday if he's deemed active. He has a good chance to do so after being listed as limited on every injury report this week. Assuming he plays, Beasley will take on a Detroit defense that has surrendered 8.8 YPT and three touchdowns to wide receivers this season. Beasley (ankle) practiced in a limited capacity Wednesday, Jon Machota of The Dallas Morning News reports. Analysis: The Dallas offense is one of three to have averaged less than 150 yards passing per game to date, which has resulted in sporadic output for Beasley. Through three games, his catches have ranged between two to seven, his targets between three to eight, and his yardage between 13 to 73 in a given outing. He also hasn't reached the end zone. Before he can think about his first touchdown of the season, Beasley will continue to battle the ankle injury that first emerged last Thursday. Beasley (ankle) caught three of five targets for 46 yards in Sunday's 24-13 loss at Seattle. Analysis: Beasley was limited in practice Thursday and Friday, but his availability was never really in doubt. Of greater concern is the state of the Cowboys' passing game, as Dak Prescott has failed to throw for more than 200 yards in any single game so far this season. Beasley had seven catches on eight targets in the season opener, but hasn't been involved as much the last two weeks. He'll have a favorable matchup Week 4 against the Lions at home. Beasley (ankle) is listed as active for Sunday's game against the Seahawks, David Helman of the Cowboys' official site reports. Analysis: With nine catches on 11 targets for 86 yards through two games, Beasley profiles as the Cowboys' most productive receiver. That said, the team's offense is keyed by running back Ezekiel Elliott, which generally limits Beasley's fantasy utility to PPR formats. 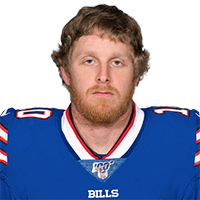 Beasley (ankle), who is listed as questionable on the official injury report, will play in Sunday's game at Seattle, Adam Schefter of ESPN reports. Analysis: After limited practices both Thursday and Friday, he appeared to be trending in the right direction for an appearance Week 3 and the report adds to that positive outlook. However, fantasy owners will want to double check his status before the 4:25 PM ET kickoff Sunday. Beasley (ankle) is listed as questionable for Sunday's contest at Seattle, Jon Machota of The Dallas Morning News reports. Analysis: Through two games, Beasley leads the Cowboys in all receiving categories aside from touchdowns, but nine receptions (on 11 targets) for 86 yards and no TDs isn't exactly inspiring. After limited practices both Thursday and Friday, he seems to be trending in the right direction for an appearance Week 3. However, with a 4:25 PM ET kickoff Sunday, owners would be safe to go with a healthier option considering Beasley's status and modest output to date. Beasley was listed as a limited participant at Thursday's practice due to an ankle injury, David Helman of the Cowboys' official site reports. Analysis: Beasley didn't appear on the Cowboys' first injury report of the week, so it looks like he may have tweaked his ankle at some point during Wednesday or Thursday's practice session. The wideout's activity Friday should provide more insight on his health heading into the Week 3 matchup with the Seahawks. Beasley has been quarterback Dak Prescott's go-to option this season with a team-high 11 targets, but he's only produced nine receptions for 86 yards and no touchdowns through two games. Beasley nabbed two of three targets for 13 yards during Sunday's 20-13 win over the Giants. Analysis: Following a 64-yard early touchdown to Tavon Austin, Dallas failed to top 100 passing yards for the rest of the game. 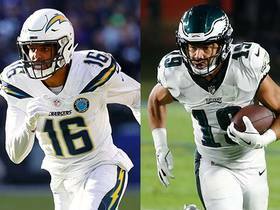 Despite not getting much action on primetime, Beasley still leads the team in targets, catches and yards. That loses some of its luster when you consider that Dallas' passing offense ranks 31st in the league. A tough matchup awaits against a Seattle defense that ranks 10th in opponent passer rating. 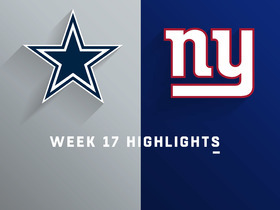 Beasley corralled two of three targets for 13 yards Sunday in the Cowboys' 20-13 win over the Giants. Analysis: With the Cowboys leaning heavily on their backfield in a game they led wire to wire, Beasley's modest yardage total was good for third on the team. 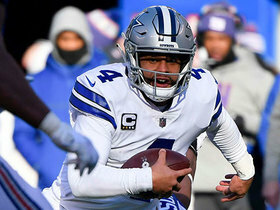 Since he typically doesn't run deep routes out of the slot, Beasley is unlikely to provide major yardage production even when the game flow favors the Cowboys' passing attack, but he gets a boost in PPR formats thanks to his status as one of quarterback Dak Prescott's favorite short-yardage targets. Beasley caught seven of eight targets for 73 yards during Sunday's 16-8 loss to the Panthers. Analysis: On a day when Dak Prescott struggled to generate much through the air, Beasley served as a reliable option underneath and accounted for nearly half his team's receiving yardage. He generated several first downs on the day as he brought in his highest number of receptions since Week 2 of the 2016 season. Beasley appears to be one of the only pass catchers on the same page as Prescott and should be leaned upon to produce again next week against the Giants. Beasley caught three of four targets for 31 yards in Sunday's 27-3 preseason loss to the Cardinals. 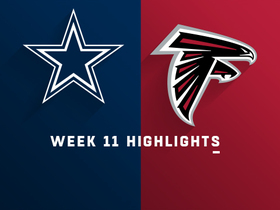 Analysis: Beasley's meager output was good enough to lead Dallas in first-half receiving yards, as the entire offense sputtered with quarterback Dak Prescott getting the night off. With few established receiving options around him, the veteran slot receiver is primed to earn a decent share of targets in the regular season. Beasley is working with the first-team offense during Friday's practice, Jon Machota of The Dallas Morning News reports. Analysis: Beasley returned to practice this past Tuesday after missing a couple of weeks with an injured groin. It isn't clear if the receiver will play in Sunday's preseason game against the Cardinals, but it wouldn't be a surprise if he's held out since neither quarterback Dak Prescott (rest) or running back Ezekiel Elliott (rest) aren't expected to suit up. Beasley (groin) returned to practice Tuesday, Kate Hairopoulos of The Dallas Morning News reports. Analysis: Beasley hasn't practiced since the injury was first reported on the day of the Cowboys' preseason opener. He still has plenty of time to gear up for Week 1, even if he doesn't make it back for the third game of the preseason Sunday in Arizona. The 29-year-old figures to retain his role as the regular slot man in three-receiver formations. Beasley (groin) is expected to practice this week, Jon Machota of The Dallas Morning News reports. Beasley (groin) will not play in Saturday's preseason game against the Bengals, Calvin Watkins of The Athletic reports. Analysis: Beasley did not play in the first preseason game either, but claims that his condition is improving, and is targeting a return in his team's following exhibition matchup against Arizona. In Beasley's absence, potential Cowboys next up on the depth chart include Michael Gallup and Deonte Thompson, who could each stand to see additional reps Saturday. Beasley (groin) remains sidelined Saturday, Jon Machota of The Dallas Morning News reports. Analysis: Beasley sat out Thursday's preseason opener but previously hadn't missed any practice time prior to Saturday. There's a good chance the Cowboys are taking a precautionary approach with the veteran receiver, though, and to date there's been no indication that Beasley is nursing a long-term injury. Beasley will sit out Thursday's preseason opener against the 49ers, David Moore of the Dallas Morning News reports. Analysis: Beasley is dealing with minor groin soreness but has not missed any practice, indicating that sitting out is likely a precautionary measure. The slot receiver is a major part of the Cowboys' passing game, and the team is inclined to be risk averse when it comes to any ailment Beasley might be enduring. Beasley was named by Dak Prescott as the receiver he'd most trust to convert a first down during an interview on the NFL Network on Tuesday, Clarence Hill Jr. of The Star-Telegram reports. Analysis: This isn't a big surprise, as Beasley and Terrance Williams (foot) are the only wideouts left on the roster Prescott has any real experience throwing to, but it does highlight how much Beasley's workload could increase following the departures of Dez Bryant and especially Jason Witten, who was the QB's security blanket on third downs. If Beasley gets a large share of the passes that used to go to Witten, the slot receiver should easily top 100 targets for the first time in his career. 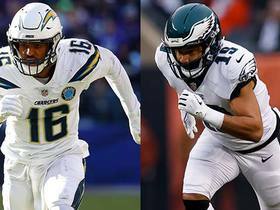 Beasley faces added roster competition following the Cowboys' recent acquisitions, Brandon George of dallasnews.com reports. The Cowboys added Allen Hurns and Deonte Thompson to a wideout group that already included Beasley, Dez Bryant, Terrance Williams, Ryan Switzer (ankle) and Noah Brown, Jon Machota of The Dallas Morning News reports. Beasley finished the regular season with 36 catches on 63 targets for 314 yards and four touchdowns. Analysis: The slot receiver failed to build on his impressive 2016, topping 33 receiving yards only once while never catching more than four passes in any game, and his fantasy utility was essentially confined to two games -- a pair of two-TD performances in Weeks 5 and 9. Depending on how the Cowboys address their ineffective aerial attack in the offseason, Beasley's role and even his roster spot could be in jeopardy heading into 2018. Beasley (illness) has been downgraded to out and will not travel with the team for Sunday's season finale versus the Eagles, David Helman of the Cowboys' official site reports. Analysis: Beasley's season will end with a final tally of 314 yards and four touchdowns through the air. In his absence, Ryan Switzer figures to be the likely candidate to take over his role in the slot. Beasley (illness) missed practice Friday and is listed as questionable for Sunday's game in Philadelphia. Analysis: Beasley is merely dealing with an illness, but his inability to practice in any capacity this week suggests he's in danger of missing Sunday's game. He could come down to a game-time decision ahead of Sunday's 1:00 p.m. ET kickoff, with Ryan Switzer likely taking over in the slot if Beasley ultimately is ruled out. Beasley (illness) won't practice Thursday, Jori Epstein of The Dallas Morning News reports. Analysis: Beasley's illness also kept him sidelined Wednesday, but he'll still have two more full days to recover before the Cowboys decide his fate for Sunday's game against the Eagles. If Beasley is unable to practice Friday or is limited during the session, he would likely carry a questionable designation heading into the season finale. Beasley missed Wednesday's practice with an illness. Analysis: The Cowboys will wait and see if Beasley is able to shake off the illness and return to practice Thursday or Friday before assessing his status for the Week 17 matchup with the Eagles. Head coach Jason Garrett more or less indicated that the Cowboys, who were eliminated from playoff contention with their loss to the Seahawks last week, would play all their healthy regulars in the season finale, so expect Beasley to fill his normal slot role for the team if active Sunday. Beasley grabbed one of four targets for 15 yards during Sunday's 20-17 win over Oakland. Analysis: It was the third time this season that Beasley was held to just one catch. The shifty slot man led the Cowboys in catches, targets and receiving yardage in 2016. With the same core of pass catchers, he's slipped to fourth across all three categories. He's not worth the risk as the season winds down. Based on the first 14 games of the season, you're three times more likely to catch Beasley on a day in which he is held to 20 or fewer yards than a game in which he scores. 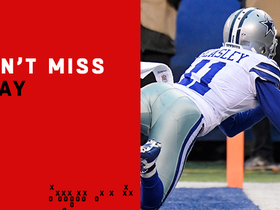 Beasley caught three of five targets for 59 yards in Sunday's win over the Giants. Analysis: It was his best yardage total of the season and the first time he's caught more than two passes in a game since Week 9. Beasley remains a secondary option in a low-volume Cowboys passing game, and Ezekiel Elliott's return in two weeks isn't likely to change that. Beasley caught two of four targets for only seven yards in Sunday's loss to the Eagles. Analysis: It's the third time this season he's been held to single digits in yards. Beasley remains mostly an afterthought in the Cowboys' passing game, even with Ezekiel Elliott (suspension) out of the lineup. Beasley caught two of three targets for 23 yards in Sunday's loss to the Falcons. Analysis: He had one big gain wiped out by a Chaz Green holding penalty, but otherwise Beasley was quiet only one week after a two-touchdown performance. The slippery slot receiver has yet to register more than 33 yards in a game this season, making him a risky fantasy option next week against the Eagles. Beasley caught four of six targets for 24 yards and a pair of touchdowns during Sunday's 28-17 win over the Chiefs. Beasley (concussion) is active for Sunday's game against the Chiefs, David Helman of the Cowboys' official site reports. Analysis: Beasley was a full participant in practice by the end of the week and was removed from the concussion protocol Friday, eliminating any doubt that he would be available for Week 9. The slot receiver should be in store for his usual 25 to 40 snaps Sunday, but aside from a two-touchdown Week 5 performance against the Packers, Beasley hasn't seen enough red-zone looks or volume between the 20-yard lines to offer much appeal in shallower fantasy settings. Beasley (concussion) will suit up Sunday against the Chiefs, a source informed Ian Rapoport of NFL Network reports. Beasley (concussion) was a full practice participant Friday and is listed as questionable for Sunday's game against the Chiefs. Analysis: Beasley already said he cleared the NFL's concussion protocol and will play in Sunday's game. The Cowboys presumably are just listing him as questionable in case his concussion symptoms resurface over the weekend. Beasley has yet to reach 35 receiving yards in a game this season, but Sunday presents one of his most favorable matchups to date against a struggling Kansas City secondary. Beasley said Friday that he cleared the NFL's concussion protocol and will play in Sunday's game against the Chiefs, Brandon George of The Dallas Morning News reports. Analysis: Beasley was held out of practice Wednesday and was limited Thursday, but it sounds as if he returned to full participation Friday. Barring a late setback, he'll fill his usual role as the Cowboys' slot receiver in three-wide formations as he takes on a Kansas City defense that has been gashed by wideouts all season. The favorable matchup by no means ensures solid results, considering Beasley has fallen shy of 35 receiving yards every week this season. Beasley (concussion) was limited at Thursday's practice. Analysis: Although Beasley elevated from no activity Wednesday to some one day later, he remains firmly embedded in the concussion protocol. Players can log full practices and still be subject to the protocol, so Beasley may still be 1-to-2 phases from receiving medical clearance. Until there's mention of a visit to an independent neurologist, Beasley will be in danger of missing his first game since the 2013 season. Beasley (concussion) will return to practice Thursday, Jon Machota of The Dallas Morning News reports. Analysis: It's unclear if Beasley will be a full or limited participant in the session, but after failing to practice in any capacity Wednesday, it sounds as though he's advanced to the next phase of the concussion protocol. Beasley will still need to receive clearance from an independent neurologist before being removed from the protocol, but if that happens within the next few days, he should be available for Sunday's game against the Chiefs. Cowboys head coach Jason Garrett said Beasley (concussion) won't practice Wednesday, Clarence E. Hill Jr. of the Fort Worth Star-Telegram reports. Analysis: Beasley was placed in the concussion protocol following his early departure from Sunday's win over the Redskins and hasn't progressed to a stage where he's able to log any on-field activity. He'll have two more days to show improvement and potentially take part in practice, but the volatile nature of recovery timetables for concussions makes it difficult to predict if Beasley will be ready to roll by the time the Week 9 matchup with the Chiefs arrives. 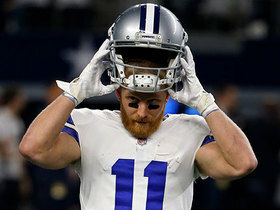 Dallas Cowboys quarterback Cole Beasley explains why he feels like the Cowboys wide receivers are being written off heading into 2018. 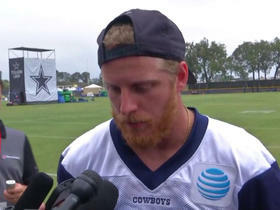 NFL Network's Jane Slater reports the latest on the Dallas Cowboys' efforts to re-sign wide receiver Cole Beasley. 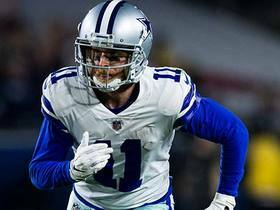 Dallas Cowboys wide receiver Cole Beasley shares his thoughts on the Dallas Cowboys offensive troubles. Dallas Cowboys QB Dak Prescott completes passes all over the field vs. the New York Giants in Week 17. Dallas Cowboys wide receiver Cole Beasley lays out for a sensational touchdown catch. 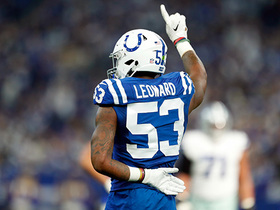 Indianapolis Colts line backer Darius Leonard breaks up Dallas Cowboys quarterback Dak Prescott's pass.